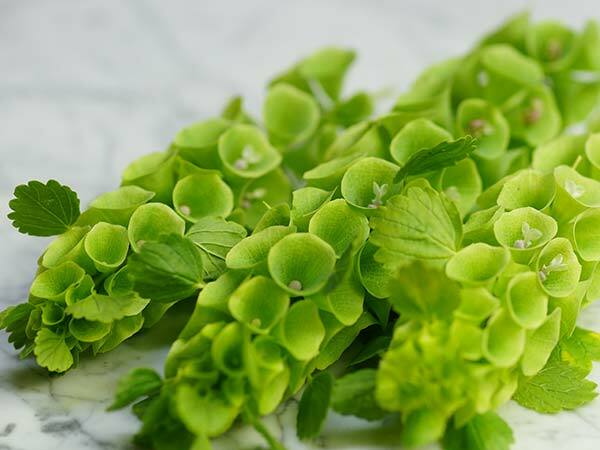 Bells of Ire­land are the per­fect choice for a fun St. Patrick’s themed-flo­ral design. 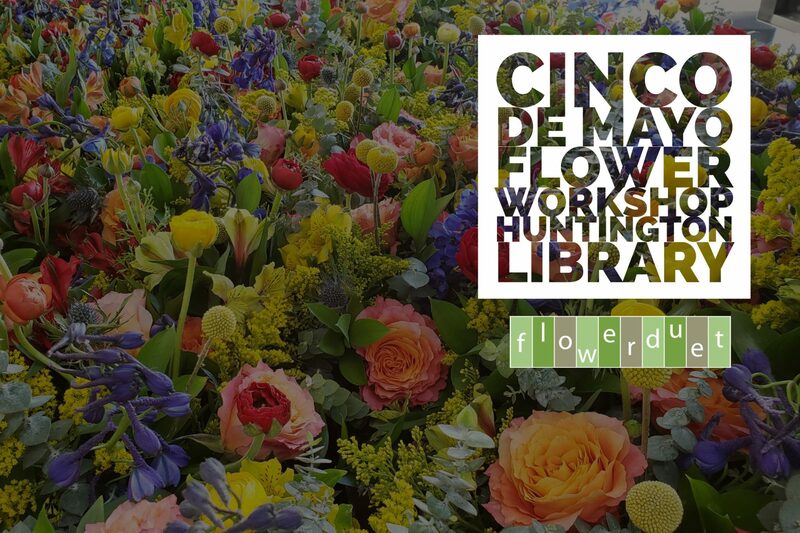 Flower Duet is fea­tur­ing these flow­ers at our class at The Hunt­ing­ton Library this Sat­ur­day, March 17, 2018. This Sat­ur­day is St. Patrick’s Day and we love it because we’re part Irish. No real­ly, we are. After all, Casey is an Irish name! We’ll be teach­ing a class at The Hunt­ing­ton Library in San Mari­no that will fea­ture Bells of Ire­land, orchids and some oth­er beau­ti­ful sea­son­al flow­ers to cel­e­brate luck, green clovers and pots of gold. 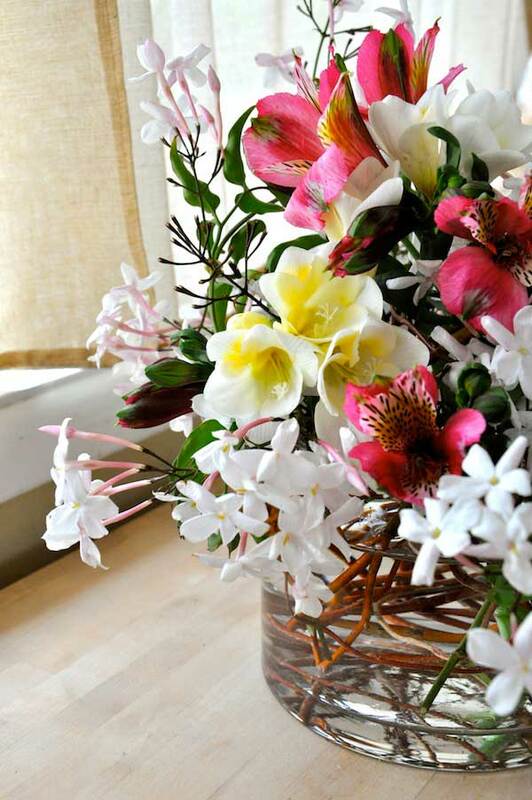 These love­ly spring bulb flow­ers have a light scent. Pho­to by Kit Wertz. It’s Daf­fodil sea­son! They are everywhere…get ‘em while they’re hot! 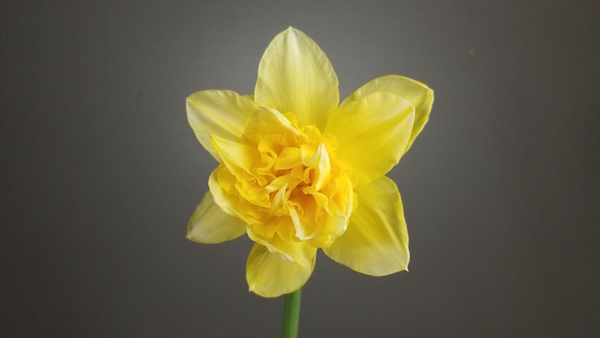 A FEW TIPS YOU MUST LEARN ABOUT DAFFODILS!!!! 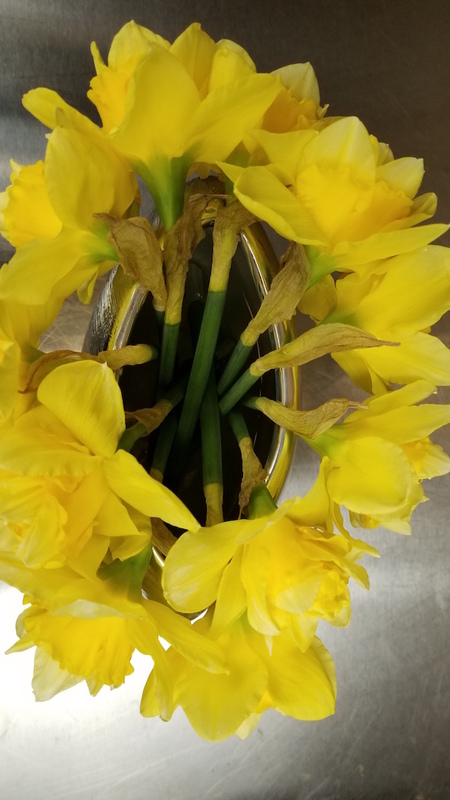 Also known as Jon­quils, Paper Whites or Nar­cis­sus, Daf­fodils do not play well with oth­er flow­ers. So, it’s best to keep these flow­ers on their own in their own arrange­ments. 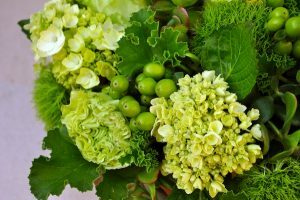 Cut stems exude sap that can be detri­men­tal to oth­er flow­ers; there­fore, store sep­a­rate­ly in water for about 6 hours before mix­ing with oth­er flow­ers. Do not recut again when arrang­ing with­out flo­ral foam, or you will have to wait anoth­er 6 hours. These are avail­able as pot­ted flow­er­ing plants, which are great for short-term indoor or out­door dis­plays. Nar­cis­sus are geot­rop­ic (stems bend in response to grav­i­ty), so store upright in uni­form light­ing. Most Nar­cis­sus have a del­i­cate to strong fra­grance, which some peo­ple may find over­pow­er­ing. Step 1: Place a lay­er of flow­ers around the lip of the vase with stems reach­ing to the bot­tom of the vase. Lay­er #1 of Daf­fodil Pavé. The num­ber of flow­ers need­ed will depend on how open they are and how big the vase open­ing is for your design. Pho­to by Kit Wertz. Here is an overview look at the first lay­er. Pho­to by Kit Wertz. Step 2: Place a sec­ond lay­er of Daf­fodils rest­ing just on top of the first lay­er. Here is a view from the top. An overview of the sec­ond lay­er so you can com­pare the first to the sec­ond. 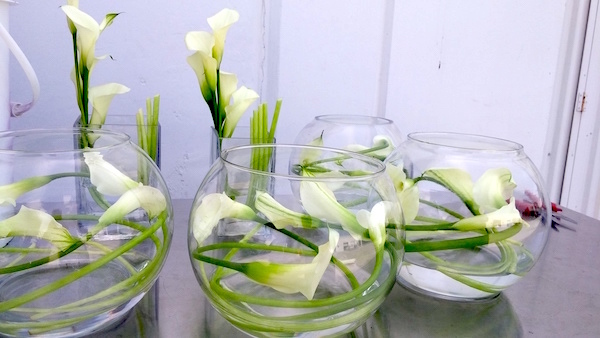 The num­ber of flow­ers you’ll need depends on the vase size. The first lay­er will take more flow­ers than the sec­ond and so on. Pho­to by Kit Wertz. Fin­ished view of Daf­fodil Pavé from the top. Pho­to by Kit Wertz. Step 3: Fin­ish with a few final blooms at the top. 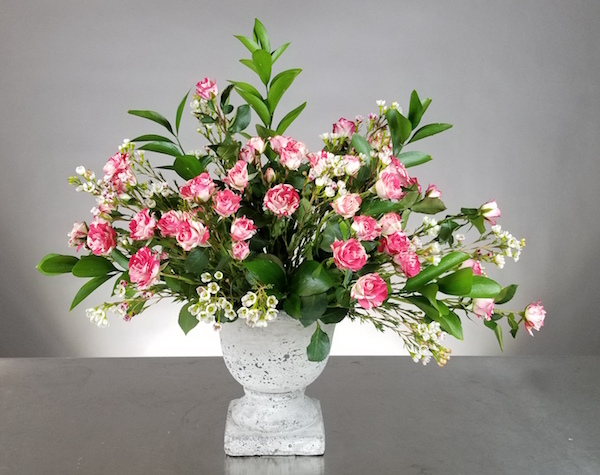 Make sure all stems reach the bot­tom of the vase. Always cut at an angle so stems can drink water. Hmmm…pretty! Daf­fodil pavé by Flower Duet. Pho­to by Kit Wertz. 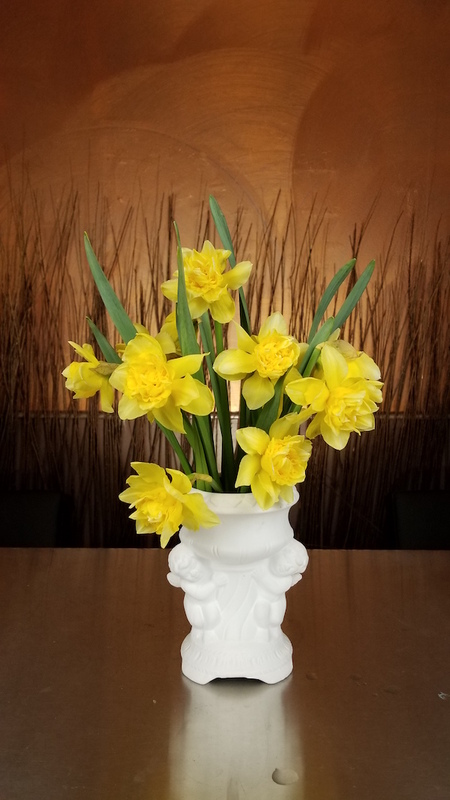 Daf­fodils are old-fash­ioned, so why not dis­play them with their greens in a clas­sic vase like this ceram­ic cupid vase? Cut at dif­fer­ent lengths to add some whim­sy to the design. 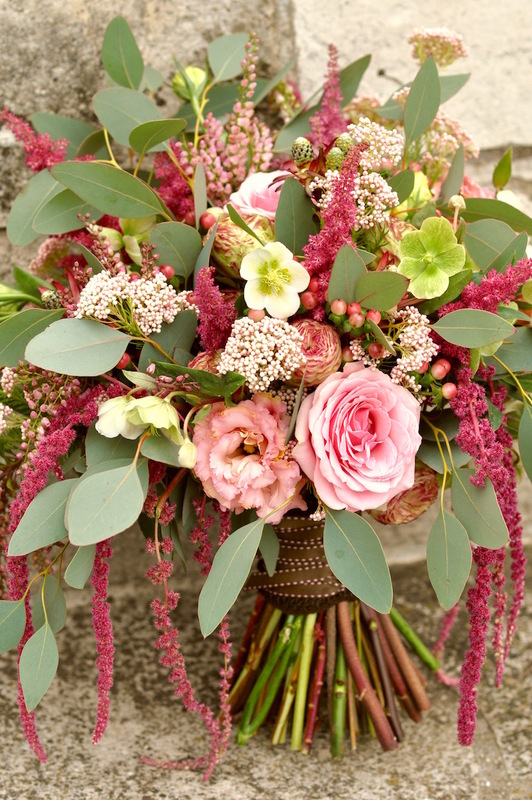 This is only 10 stems of a dou­ble bloom vari­ety. 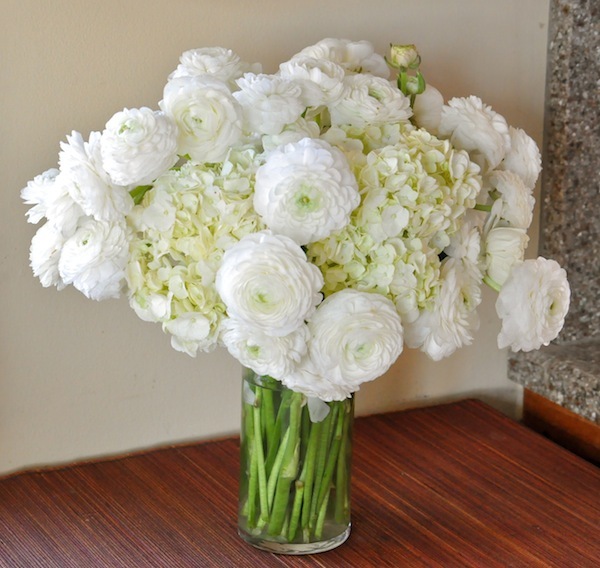 Design tip: The tallest bloom should stand twice as high as the vase. Pho­to by Kit Wertz. 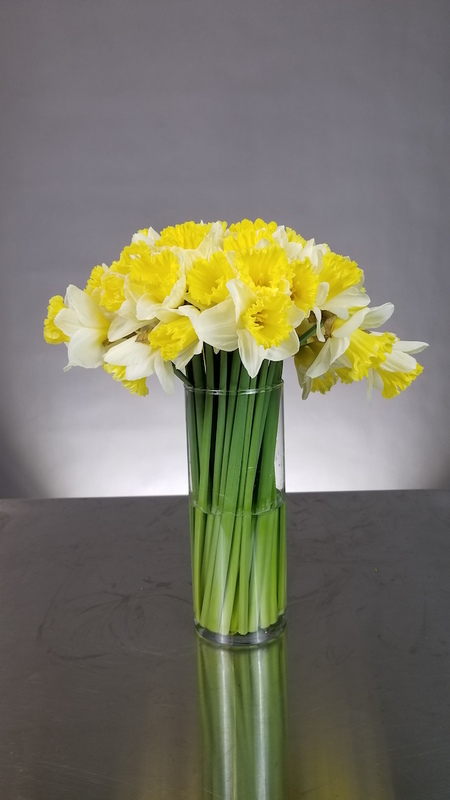 These are won­der­ful­ly nos­tal­gic flow­ers of spring, but they can also look quite ele­gant when clus­tered togeth­er show­ing off their clean stems in a tall glass cylin­der. 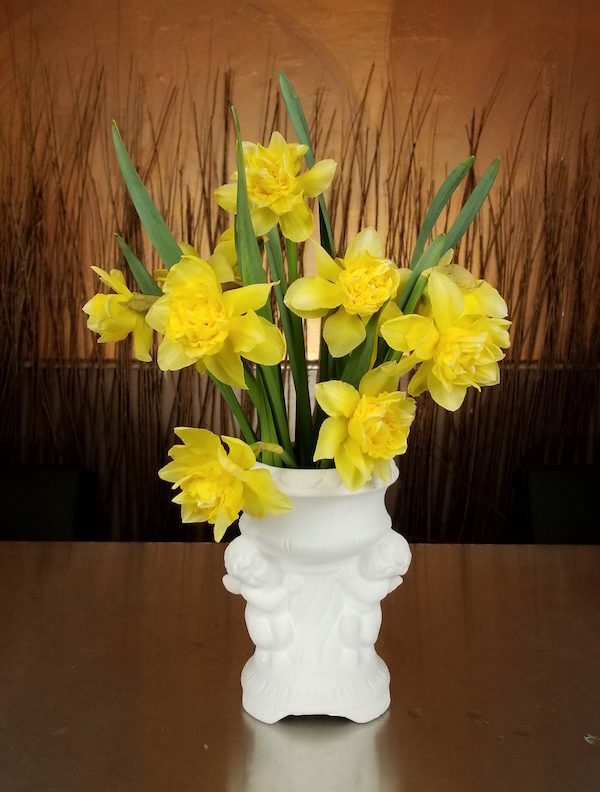 Keep it mod­ern by let­ting the heads just skim the lip of the vase. 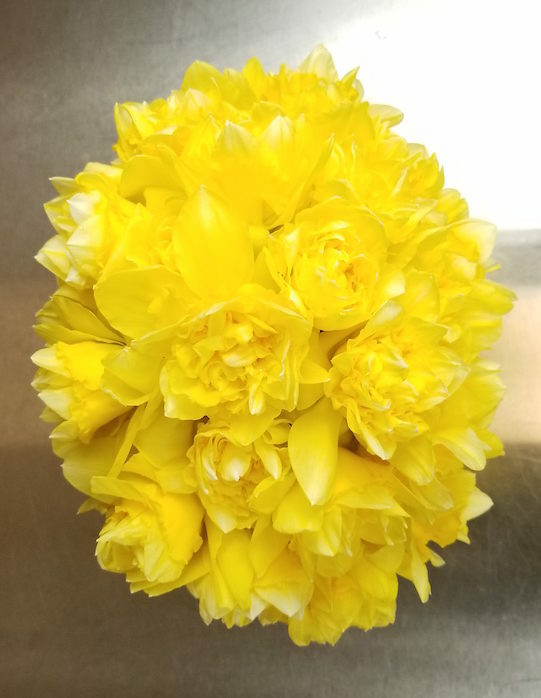 This ele­gant look can be done with just 20 stems of daf­fodils and a 9-inch cylin­der from Dol­lar Tree! This is an arrange­ment that costs less than $5 in Los Ange­les to make not count­ing the gas in your car tak­ing you to Trad­er Joes to buy the flow­ers! Pho­to by Kit Wertz. Then…you’d like to learn more, right? Pink and White Spray Ros­es! What is not to love!??? Pho­to by Kit Wertz. 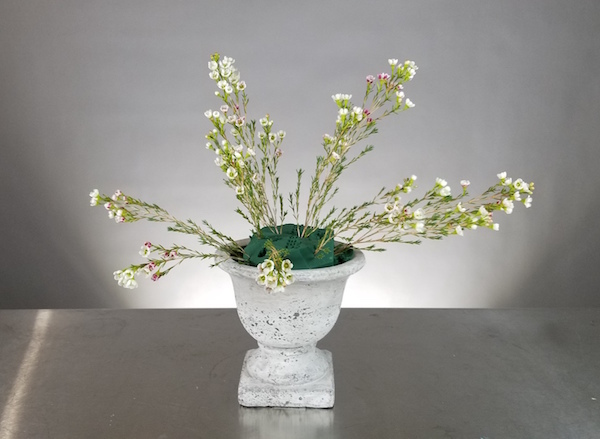 Waxflower is the first step. This cre­ates the over­all shape of your design. Pho­to by Kit Wertz. Step 1: After you’ve soaked the flower foam and fit it into your com­pote con­tain­er so it’s a snug fit. 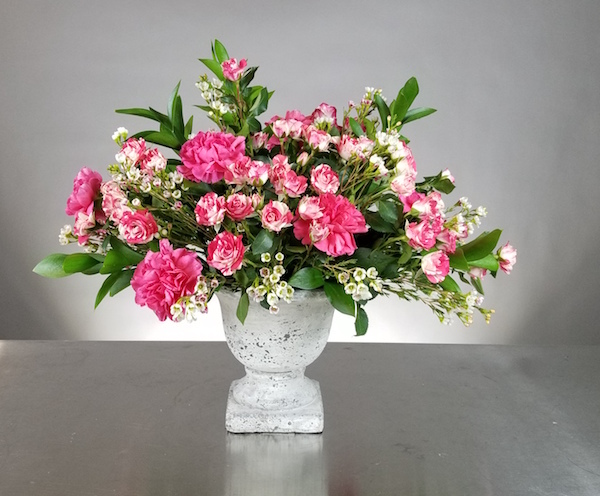 Add the Waxflower as shown. Form a V with the two main stems. 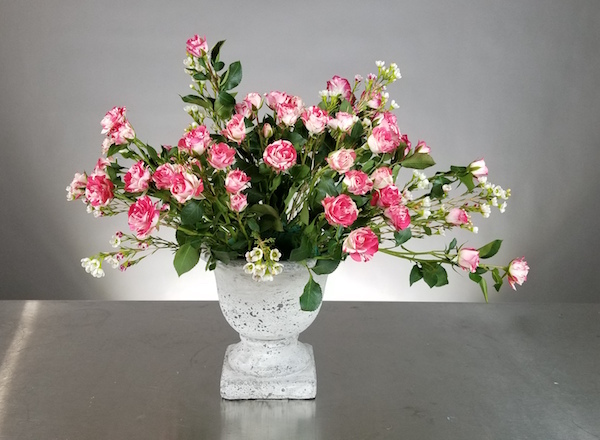 The height should be twice as high as the vase. Add two more stems elon­gat­ed out to each side. One longer than the oth­er. 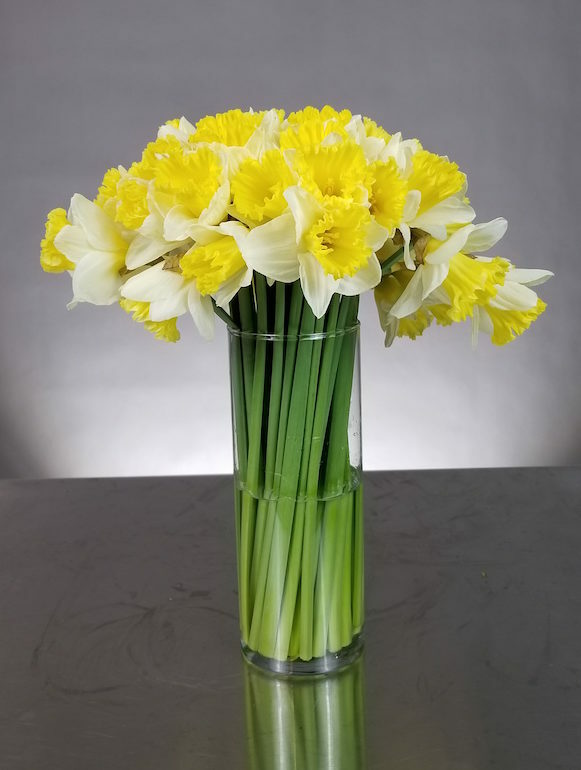 Final­ly, add two stems to the front and the back of the vase that are about half the width of the vase. Add the spray ros­es. Pho­to by Kit Wertz. Step 2: Add the Spray Ros­es as shown. Keep some of the green­ery on the stems to add vol­ume to the design. Make sure there are no leaves on the stems that will go into the foam. This is your “mass flower” and needs to be the major­i­ty of the design. Pay atten­tion to the front and back. Fol­low the lines of the waxflower. Add the Rus­cus. Pho­to by Kit Wertz. Step 3: Add the Rus­cus to help offer a lit­tle more depth and dimen­sion. This helps make the flow­ers’ col­ors stand out more. Fin­ish with Car­na­tions. Pho­to by Kit Wertz. Step 4: Fin­ish with the stan­dard Car­na­tions as shown. Try to place them strate­gi­cal­ly through­out the design. On all four sides…some high…some low…none at the same lev­el or right on top of each oth­er. Want to learn more designs & pro­fes­sion­al flo­ral tech­niques? 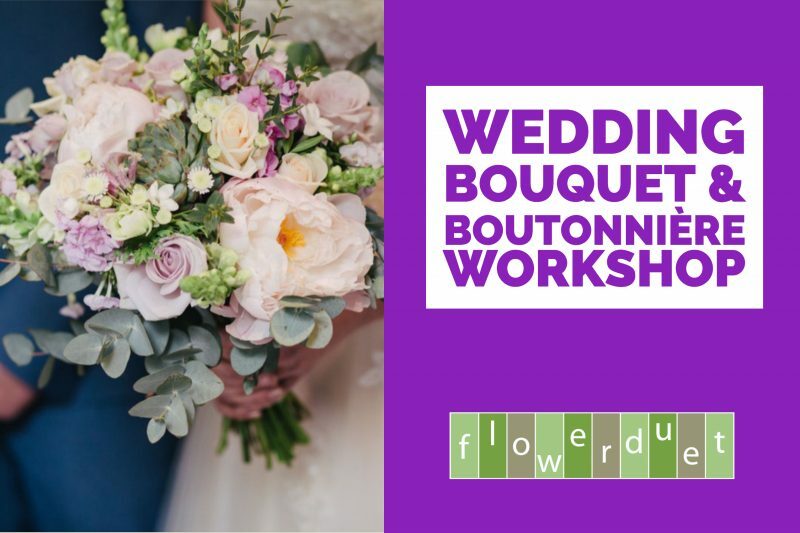 Sign up for our month­ly sub­scrip­tion to Flower Arrang­ing Fri­days For­ev­er class­es online and you can learn a new design each week! 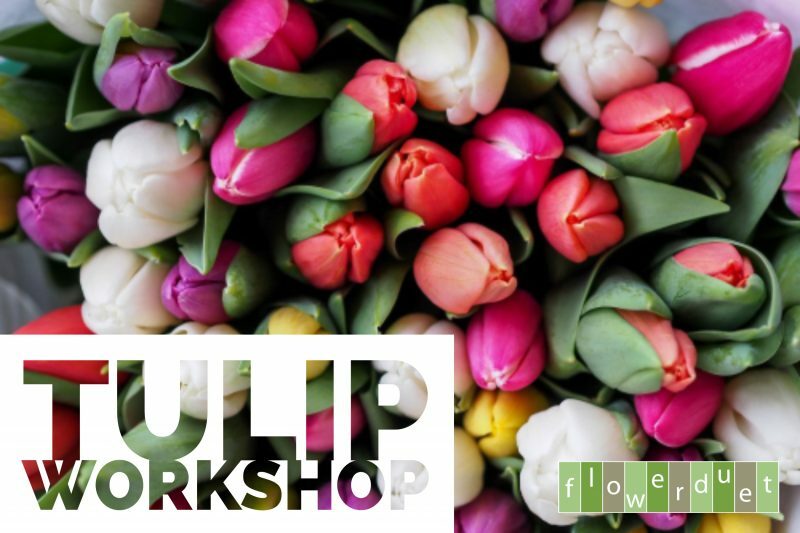 With Step-By-Step videos and down­load­able PDFs so you’ll know exact­ly how to cre­ate a won­der­ful flo­ral design and learn trade secrets from Kit & Casey of Flower Duet! 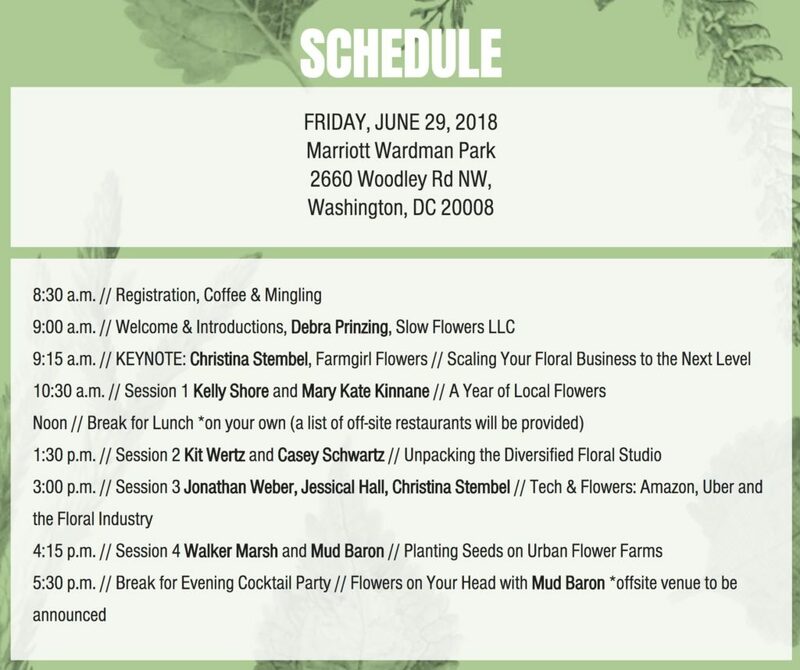 Slow Flowers Summit — Sign Up and we’ll see you there! What is the Slow Flow­ers Sum­mit? 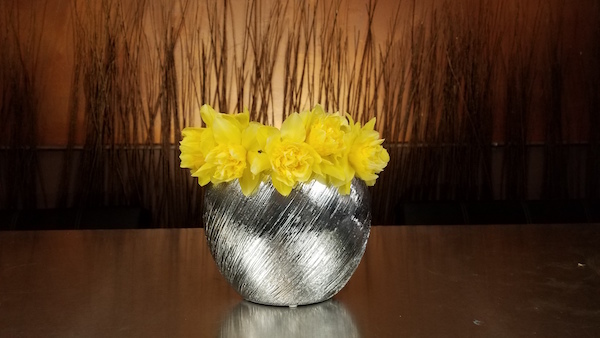 Called a “TED Talk for Flower Lovers,” the SUMMIT is a one-day lec­ture series for cre­ative pro­fes­sion­als, thought lead­ers and pio­neer­ing voic­es in the pro­gres­sive Amer­i­can-grown flo­ral com­mu­ni­ty. Designed to stim­u­late curios­i­ty, exam­ine con­ven­tion­al assump­tions and explore con­scious and eth­i­cal prac­tices in the flo­ral indus­try, the Sum­mit agen­da asks speak­ers and audi­ence mem­bers alike to inquire, inform, include, insti­gate and inspire. Flower Duet will present at this year’s Sum­mit! Debra Prinz­ing devel­oped the SUMMIT as a new “live” com­po­nent to the Amer­i­can Flow­ers Week cam­paign (June 28-July 4). 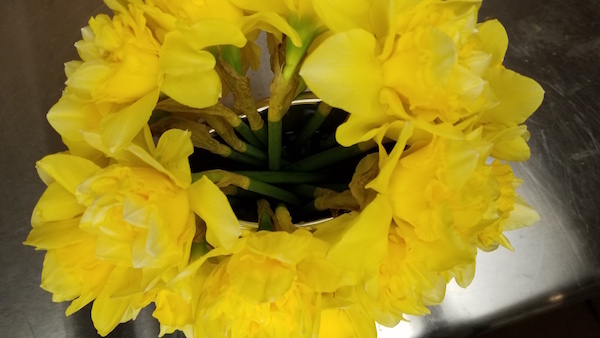 AFW devotes a week of activ­i­ty via events and social media plat­forms to pro­mote domes­tic flow­ers, raise con­sumer aware­ness and unite America’s flower farm­ers with the U.S. flo­ral indus­try. Kit attend­ed last year’s inau­gur­al sum­mit in Seat­tle and wrote a lengthy arti­cle about all the won­der­ful pre­sen­ters. 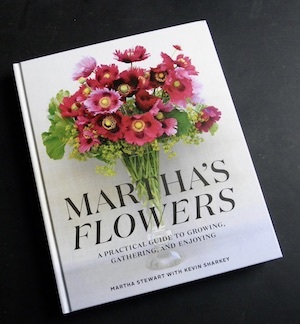 It was a price­less day of con­nect­ing with like-mind­ed flo­ral design­ers and flower farm­ers. In 2017, Debra Prinz­ing devel­oped the SUMMIT as a new “live” com­po­nent to the Amer­i­can Flow­ers Week cam­paign (June 28-July 4). 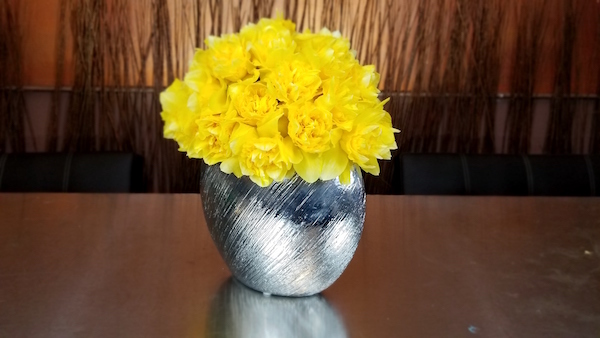 This week devotes a vari­ety of events and activ­i­ty on social media plat­forms to pro­mote domes­tic flow­ers, raise con­sumer aware­ness and unite America’s flower farm­ers with the U.S. flo­ral indus­try. The 2018 Slow Flow­ers SUMMIT is part­ner­ing with the Amer­i­can Insti­tute of Flo­ral Design­ers (AIFD), to co-locate and offer the Sum­mit as a bonus pro­gram tak­ing place the day pri­or to the start of AIFD’s Sym­po­sium. Casey and I were nom­i­nat­ed for the 2nd year in a row for BEST WEDDING FLORIST in Los Ange­les by read­ers of Cal­i­for­nia Wed­ding Day Mag­a­zine! If you are in the indus­try you can vote for us! Vot­ing end­ed but win­ners will be announced in May. Thanks for your sup­port! Pur­chase online in Hard­cov­er or E-Ver­sion. Flower Tool: Start with Clean Buckets & Tools! It’s a good idea to go back to basics and be remind­ed that suc­cess starts with clean tools. The clean­er the vas­es and your buck­ets are, the bet­ter off your blooms will be. “Clean and fresh” takes on new mean­ing with flow­ers. Your buck­ets, cut­ters, knives, bench­es and oth­er equip­ment used in pro­cess­ing should be san­i­tized. Bac­te­r­i­al counts rise rapid­ly in the hold­ing solu­tion unless buck­ets are cleaned with an antibac­te­r­i­al solu­tion and the solu­tion con­tains a prop­er­ly mixed flo­ral preser­v­a­tive. Alter­na­tive­ly, use vine­gar or bleach to san­i­tize your equip­ment. Water qual­i­ty has a direct effect on the longevi­ty of your cut flow­ers. Clean water is essen­tial. Look into your buck­ets and con­tain­ers and ask your­self, “Does this look clean enough to drink?” If the answer is “No”, then your flow­ers shouldn’t be stood in it! 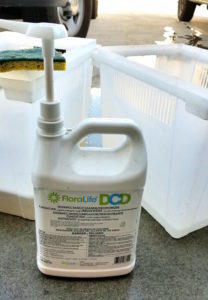 “Use D.C.D.® Clean­er to dis­in­fect, clean, and deodor­ize flower buck­ets, vas­es, con­tain­ers, tools, work sur­faces, cool­ers, ship­ping and pack­ing areas. Ben­e­fit from the rewards of few­er bac­te­ria affect­ing the well­ness of your flow­ers for sale. Flower well­ness which brings cus­tomer sat­is­fac­tion and repeat flower sales to your busi­ness. 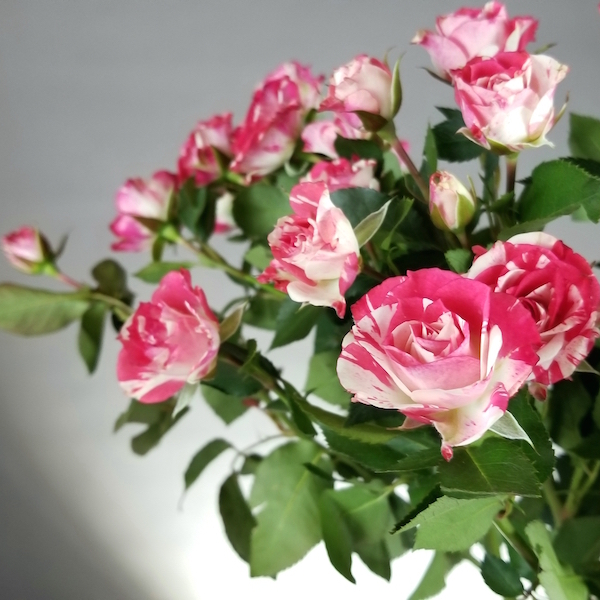 - Dis­in­fects and reduces bac­te­r­i­al growth which harms flower stem vase life. - Mul­ti­ple use areas – cool­ers, tools, con­tain­ers, work sur­faces, and ship­ping areas. Pur­chase online or at Flo­ral Sup­ply stores.